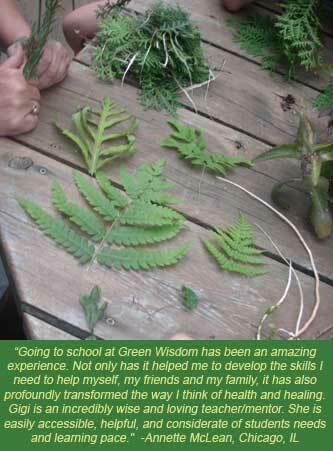 Green Wisdom School of Natural and Botanical Medicine offers diverse curriculum formats with full spectrum learning experiences. With different course styles, you can choose the format that best works for you. Browse our school's overview below, then click on the Course pages to select what you're looking for. Each season and semester we offer inspiring CAM, Complementary Alternative Medicine, classes and community workshops to enrich your personal or professional life. Explore these natural and botanical medicine classes, from fun 'make and take' herbal medicine-making classes to Plant ID hikes and our unique Plants & Paddling Kayak Eco Tours. Green Wisdom regularly offers everything from one time unique classes about creating Herbal First Aid Kits to in-depth natural medicine programs such as Trauma Trainings, many of which are certificate level courses. Our Professional Herbalism Programs offer students full immersion experiences, from identifying plants in the wild to working at our school's Herbalists Without Borders Peoples Clinics assisting patients. Each course sets the foundation for the next. Students journey deeply into the world of botanical medicine via our Professional Herbalism Programs. What could be better than education that encompasses professional pathways, clinical and outdoor field study? Green Wisdom embraces and integrates both ancient and contemporary wisdom in academic studies. Graduates receive a strong wisdom base that can be used to build a botanical business or clinical practice. Professional Herbalism Programs are offered regularly during semester and annual calendars. Plan ahead and apply early for our Professional programs. 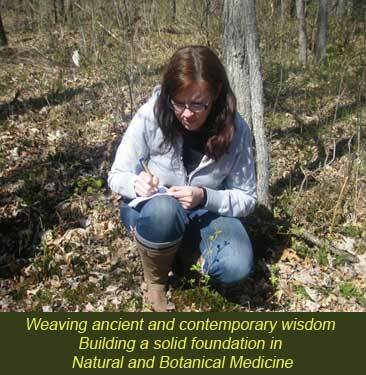 Our Professional Herbalism Program courses are all certificate level courses. closest to your geographic region or an Online option to study from the comfort of your home. ..is the next course after Beginner level and is required for our Master of Herbalism Program. an Herbal CSA, community apothecary, nourishing gardens, kayaking and more! Plan early, limited class size and this popular national course fills fast. ...this is our capstone program taught for 28 years in the Upper Midwest U.S.
​ ensure intimate, quality academic and clinical experiences. Our online eCourses offer interesting course topics that create spaciousness for students to work independently from the comfort of home. Jump right in and work anytime, from anywhere! Topics range from Herbs for Contemporary Stressors to Flower Essences for Stress,​ Trauma & PTSD. Our past online students have studied from California to Canada, even Croatia in past decades. You'll have 6 months to complete each of these courses, although some students complete their Online eCourse in 2-4 weeks! When you complete our Online Courses, you'll receive an attractive Certificate of Completion, as well as credit hours toward our Master of Herbalism Program.